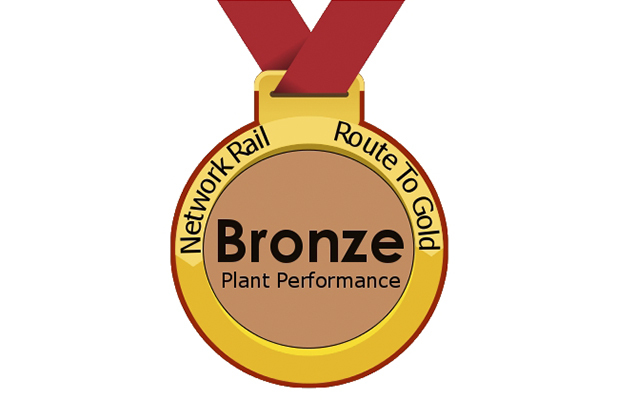 Story Contracting is one of the first companies in the U.K. to achieve the “Route to Gold” Bronze Medal, awarded at Network Rail’s Plant Reliability conference. Story’s Head of Technical Development Mark Bruce & Workshop Manager James Haile accepted the award on Monday on behalf of the Plant Department at the Plant Reliability Conference at Westwood, Network Rail’s training headquarters. This is a fantastic achievement for everybody within the Plant Division from all 3 depots (Carlisle, Bonnyrigg and Normanton) but especially so for the maintenance teams who are working tirelessly to achieve 100% plant reliability on a daily basis. Trust, honesty and openness with a “Do it right” attitude is paying dividends – the division have already achieved 100% reliability on 4 separate occasions this year; the governance and how the issues are dealt with are also an important measure.